Heading towards the longest night of the year I look back on the past season. How I love autumn! Above you see a selection of my Instagram pics. You are welcome to follow me! I said goodbye to summer, admired the golden leaves that made the trees look like they were on fire, walked through foggy landscapes early in the morning, and I packed the first christmas presents to send to friends far away. Autumn is my mom's season, she is born in October. We all hoped with her she would leave this world while the leaves were red and brown... For her birthday she asked a double pneumonia! She lost everything, except her humour. But it is obviously not up to us. Instead of packing a fatal illness I made her an autumn leave garland with my home designed leaves. I more and more tend to cocoon in my mini world with colours, art, good food, designs, my family, friends and not to forget the wonderful nature behind my house. Fortunately this tendency is balanced by a son who is very politically aware, who follows all the trouble spots in the world, knows the military strategies and has strong (adolescent!) opinions about all the international relationships. And of course I worked - and I worked a lot - like always! Designing summer collections for Ompak Packaging, my own running business in between (with the always great help of Kim, my assistant!) and I attended my very first consumer event. Still don't know if it was worth all the energy, but I learned a lot and met some wonderful people: my real customers! When they phoned me some time ago I was rather sceptical. 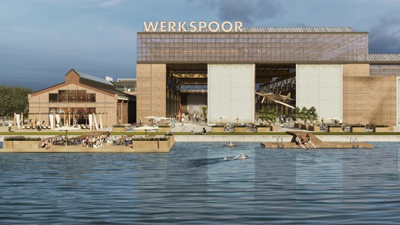 Again an event in this small world of creative professionals in Holland? I have never attended Sunday markets, craft fairs, creative factory events etc. Next to the 50 hours I already work for my wholesale company I never had time, nor felt like attending these kind of events. But somehow CREATIVE LIFE had a certain 'je ne sais quoi'. I asked them to phone me again. And now I am IN! 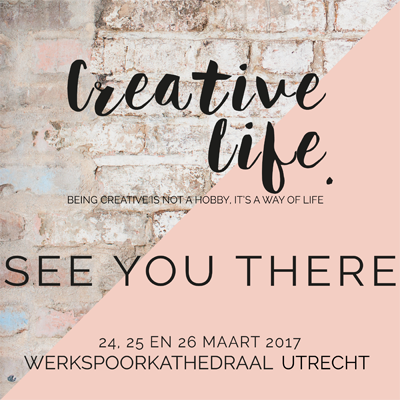 Creative Life is organised by an experienced and wellknown fair organiser. Monique - Mrs. Connecting the Dots/art director - from Happymakersblog is working in the organisation already from the beginning. They have a very sympathetic construction: If you give workshops in your stand you get a discount on the (already not too high) stand price. There's a good list of wonderful exhibitors already, you can check them here. Good thing is: there's place for some more! A friend of mine - who's gonna be an exhibitor as well - told me: I need to be there, to stay visible on the map, to stay relevant. This is THE event! I think she is right. Treat yourself on a day full of creativity. 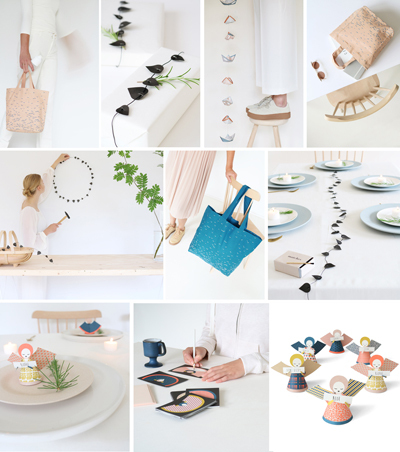 Come home not only with some beautiful selfmade or bought items in your bag, but also with a head full of ideas and inspiration! Well, it's easy peasy: block one of the days in your new 2017 calendar and buy your ticket (early bird discount!) in the coming weeks. Ticket sale starts by mid December, keep an eye on the website. And of course: spread the word and invite friends. This is going to be so special! 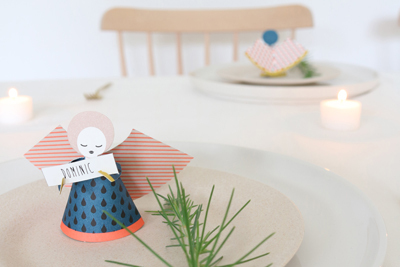 Since I don't give workshops - I think you are all able to fold my angels without my help ;-) - I am thinking of contributing with something completely different. I would love to sit with you personally and share my professional experience with you. Jurianne speed dates during the Creative Life event. 10 or 15 minutes of personal feedback. Not in my stand, but separate, private, in order to be real focused. I would like to make a career move in a creative direction, but I don't know where to start! I would like to know how I can commercialize my small collection of products. I would like to get feedback on a creative process I got stuck in. Do you think people would go for this idea? Would you? Should I ask money for this, a small symbolic amount maybe? I think it would be wise when people reserve their time in advance and send me a brief version of their question + images, so I can prepare it a little bit. 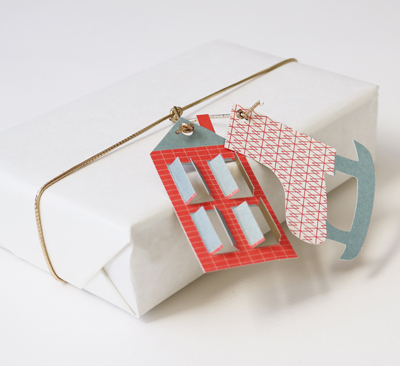 Like most of you wrapping gifts for my loved ones is one of my favourite hobbies! 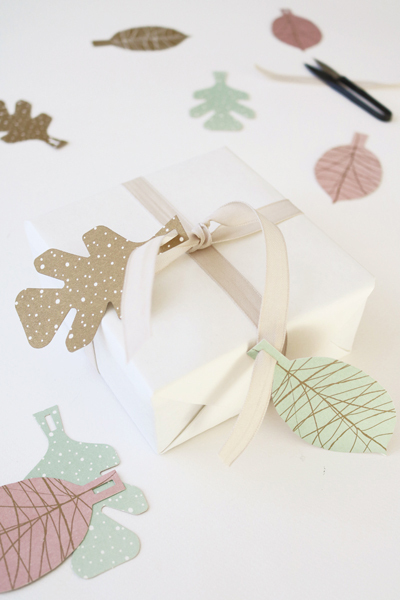 Can you imagine how fortunate I feel that designing gift wrap paper and gift tags is my work? I feel so blessed! 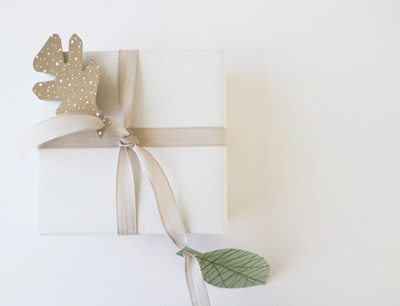 All of the above photo's show products I designed for wholesaler Ompak gift paper. 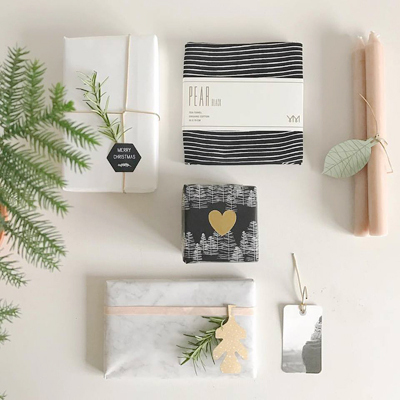 Light gray marbled paper, black pine paper, silk paper (with the snowwy trees on it), gift tags and stickers. 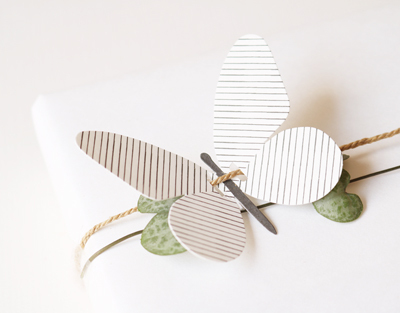 They are designed to make gift wrapping the easiest craft ever: small effort - huge effect. 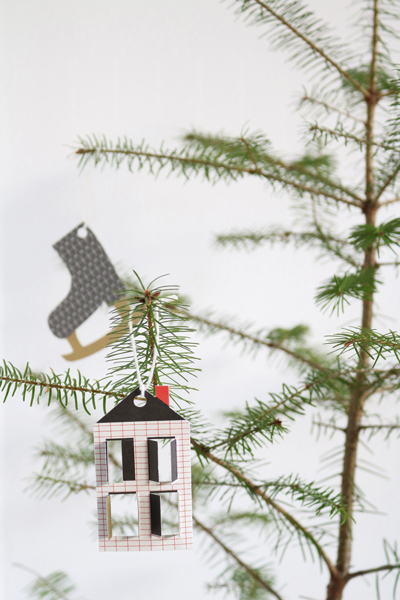 I love to design things that are multifunctional, so all of the tags can be used as other decoration too! 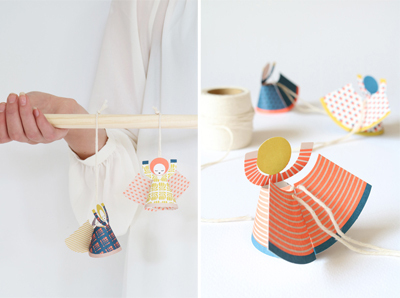 You can hang them in the Christmas tree or string them and make a garland! The tags and stickers (prices vary from € 1.25 per pack) are now for sale in my webshop: Jurianne Matter. My very first time to attend a shopping event for consumers! 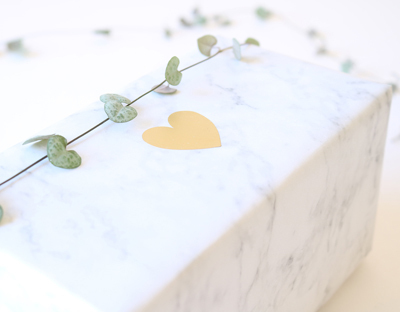 As a wholesaler I am used to trade fairs: you show your designs in the nicest possible way, talk to your customers (who all have a store) and write down orders. That's it, simple. This time it is completely different: I need to have a counter, lots of stock, a mobile card machine for the payments and I need to have bags, price tags, baskets... I guess I underestimated this big time! At the moment I am working my *** off to get everything organised. But I know that once the doors open I will feel happy as a child (and so honoured) with all the lovely customers that come to see my designs. 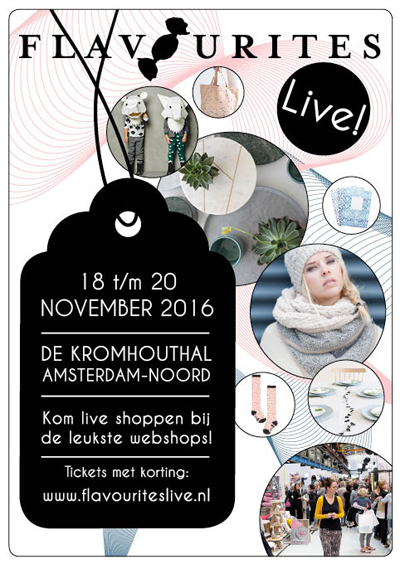 So: welcome at stand number 13 at Flavourites Live in the gorgeous old industrial Kromhouthal! In my previous post I told you a little about the designing process behind my products. 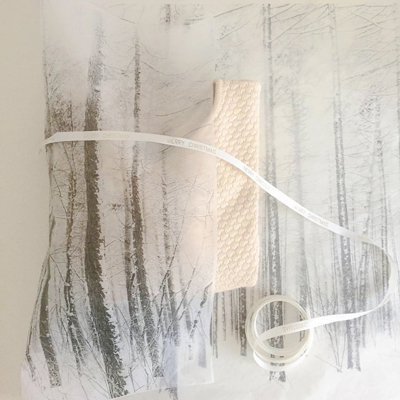 A rather strict path: it all starts with a moodboard. 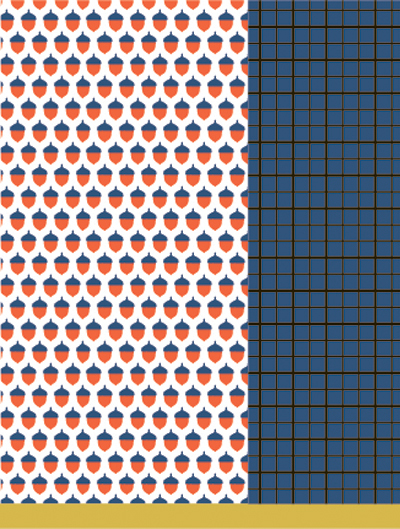 Well, apparently there are no golden rules for designing, because for this product - Twig leaves - I broke with that tradition for the first time! Twig was on my work table before I knew it. 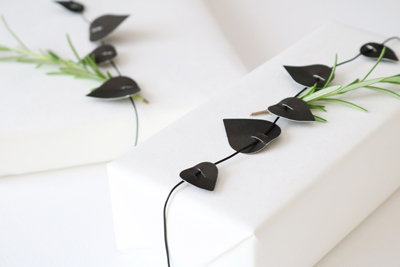 I had the idea, a few minutes later I was cutting small black leaves in different shapes, stringing them on black wire and there it was! It only needed some days of finetuning (slim leaves? heart shaped leaves? thickness of the wire?). And of course it needed the rest of the production-circus before it could end up - printed, pre-cut and packed - in the shops. If a design pops up like that, without any real effort, I know it must strike a chord at my customers. And it did, it's sold in many places throughout Europe and beyond and of course in my own webshop! 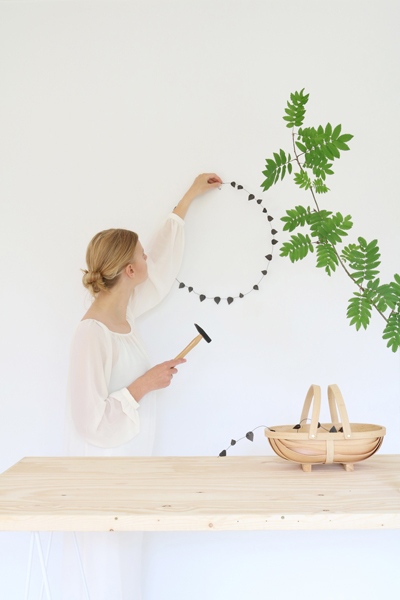 Twig is a graphic interior decoration. 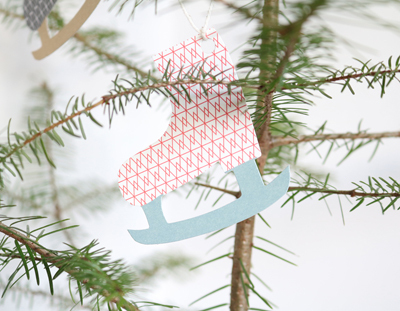 In just a few minutes you turn your Twig set into a stylish wreath and a long garland. 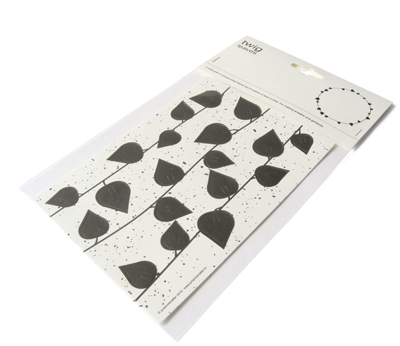 Every black paper leaf is pre-punched and has slits to thread the black aluminium wire through. 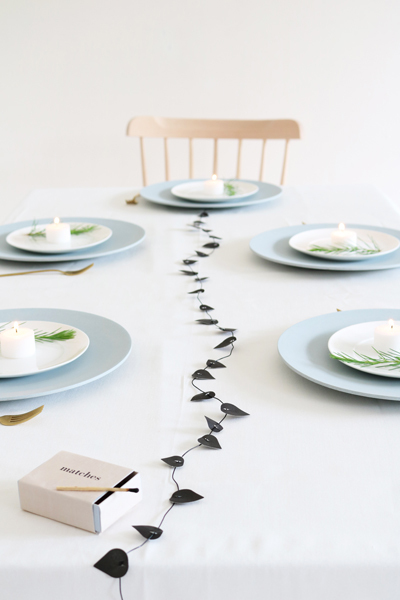 Once threaded, go wild with the possibilities! 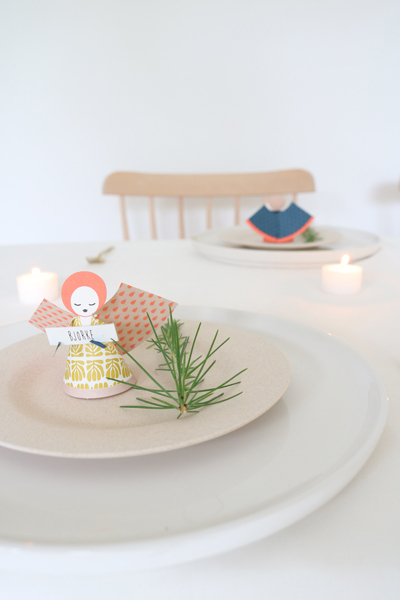 Bend the wire into a circle and create a wreath, thread a long garland and hang it from the top of your highest cupboard. 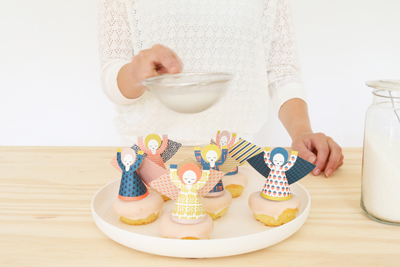 My new Fridur mini angels were not designed and produced in a heart beat. Don't know if it's interesting for anyone, but I just thought it's fun to share the usually hidden designing process behind this product. 1. From a vague ‘something in the air’ feeling I start creating a visual world with a coherent style... in short: a mood board (see first image above). 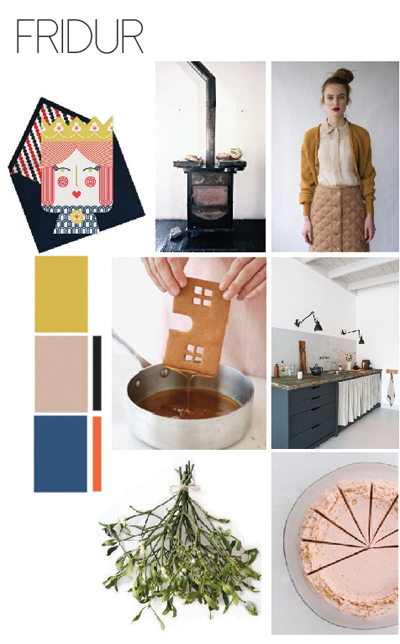 This mood board is my source and help during the design process. When the product is ready it should fit perfectly in the world I created in the mood collage. 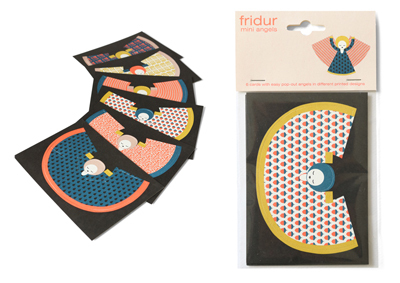 For Fridur I chose for: cosy, stylish, crafty, warm, hip, winter, graphic, sweet and natural. My major tool for making mood boards is Pinterest. 2. Then I google for catchy and matching product names, mostly in Northern European languages. I found Fridur in Icelandic and it means Peace! 3. 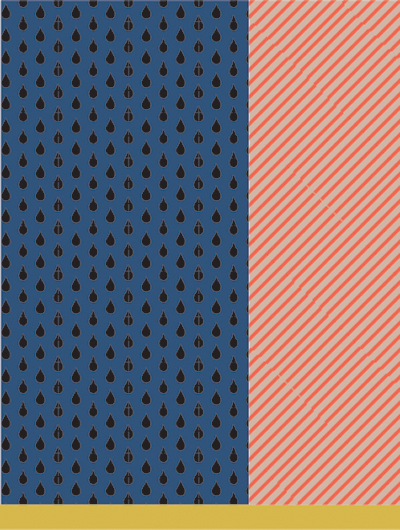 When my mood board is ready, I look at the dominant colors and make a color scheme with it. 4. 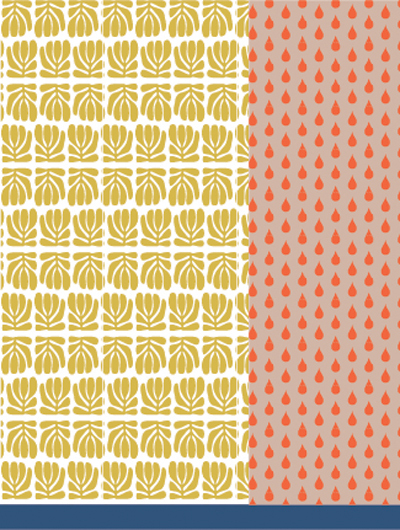 I start designing lots and lots of prints in Illustrator, I select the ones I like best and look for the best pattern combinations. See above. 5. Then I start combining the prints into my product. I print, cut, and fold - I make about 50 angels or more - and at the end I decide which ones are going to make it to the printer. 6. What happens next is not as interesting, but still necessary (and very time consuming! ): I need to design a package, I finalize the technical print files, I design the cutting files, I guide the printing process, order corn bags, make packing instructions for the packaging company, calculate a prize, put everything in the JM administration and see to it that the angels end up in my warehouse. 7. And then of course we need photos of the new product. First I make a photography storyboard, a list of scenes I need/want to shoot. And then I go shopping for the right props with my moodboard in my hand. At home I go online shopping for clothes for my model. 8. On the photoshoot day I mostly shoot 3 products at once. The shoot with my model takes about 4 to 5 hours and the rest of the day I spend taking pack shots and close-ups. 9.After selecting and editing the photo's and uploading them to my catalog and my website I can finally say: hurray, my product is ready! Hard to believe that I was here only 2 weeks ago, in Lefkas/Lefkada together with a friend. And due to the great Greek laid back energy I was able to completely reset and recharge in only 7 days! 1. go there in June or September, during high season it must be crowded on the island. Risk a few rain showers (the island is green! ), there will always be days with lots of sunshine! 2. try to get an apartment in the tiny village of Agios Nikitas. It is cute and super relaxed, feels authentic although it's completely based on tourism... There's no traffic, the main mini pedestrian road ends up in a small sandy beach. 3. eat zucchini-balls aka courgette balls (kolokithia keftedes) at Lefteris taverna in Agios Nikitas. 5. don't let the ugly 'exterior' (harbour) of Lefkada Town scare you off: take any small street towards the center... it is a paradise for colour lovers! Small streets, corrugated metal houses, colours and cats. See photo's above. Due to a busy summer (new designs, trade fairs, tell you more soon) we decided to keep the summer vacation short this year. It was our first time since 19 years that we had vacations without the boys! Eldest son Eise was in Nizhny Novgorod (RU), studying Russian at the State University for one month and Brecht celebrated life with tons of friends in Albufeira, Portugal. Being without the kids felt a bit strange at first but it was also great to do 'boring old peoples things' - like hiking and reading books - without any comments from the adolescents! We decided to ask my father to come with us (to make it even more senior... hihi) and had him kind of decide where we were going. He chose the north of Italy, South Tyrol, because he has a special connection with this area. He's been there many times on a professional basis - he's a classical musician - and he still has some former students/friends living here. This fact made the little trip very special. We had dinners with his friends, meetings in monasteries, there was renaissance music (played by dad and others), but also long walks in the mountains, tasting the best wines ever (Lagrein and Gewürztraminer) and I even got to read some books too!